ThermBright Thermal Targets depict a more realistic view than conventional heated targets. This means that specific shapes can be achieved to simulate different types of targets thus giving a more realistic live-fire experience. The versatility of the ThermBright range of targets can be used for all types of surveillance and target acquisition (STA) systems including image intensifiers, thermal and fusion imagers. MJ Services (GB) Ltd. was founded in 2004 by Michael Jarvill, a retired British Army Major, who through his own personal military experience saw a need for a better performing thermal target for live fire training. Therefore Mr. Jarvill developed and began manufacturing ThermBright targets in 2005. Unpowered and passive thermal targets & recognition systems. MJ Services (GB) Ltd endeavours to anticipate the future needs of the UK armed forces and is willing to provide targets of all kinds at no cost and without obligation for evaluation purposes. MJ Services (GB) Ltd has a solid reputation for quality products, efficiency, experience and technical support. We have also been dedicated to the quality of our products and the services we provide to our customers since the company began. As proof of this MJ Services (GB) Ltd has been accredited with and works to, the internationally recognised BS EN ISO 9001:2015 standard. An ISO Certificate is not for all time; it must be maintained and renewed at regular intervals. LRQA carry out surveillance visits throughout the year and a full certificate renewal every three years. This ensures that MJ Services (GB) Ltd continue to maintain a high standard quality management system. 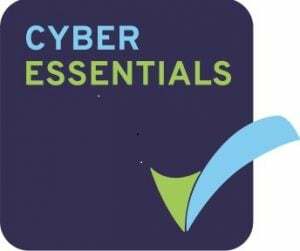 M J Services has acquired the Cyber Essentials certification. Cyber Essentials is a government-backed, industry supported scheme, which helps prevent the vast majority of cyber attacks. The UK government now requires all of its contractors that handle sensitive data to hold a Cyber Essentials certificate to prove they are secure. Protect our organisation against common cyber threats. Show our customers we take this issue seriously. Enable us to bid for UK Government contracts.